Your kids have let it be known that the standard ‘kids club’ activities – crafts, board games and rock pool rambles are ‘boring’! So, what to do? Where to go? Perhaps falconry, 4X4 desert rides and camel rides are more their scene? 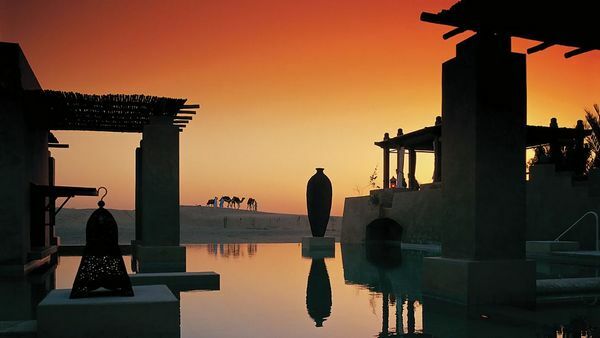 Situated in the heart of the desert and nestled in the gently sloping dunes of Dubai, Bab Al Shams Desert Resort & Spa offers guests a luxurious, one-of-a-kind desert experience. 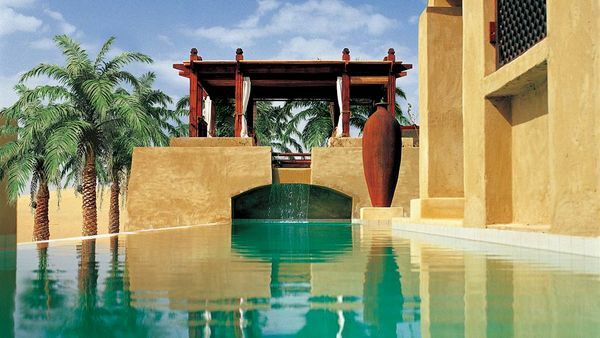 Built like an Arabic fort around an oasis, the resort boasts secluded courtyards, a palm grove and waterfall, a ‘beach’, infinity pools and five restaurants. 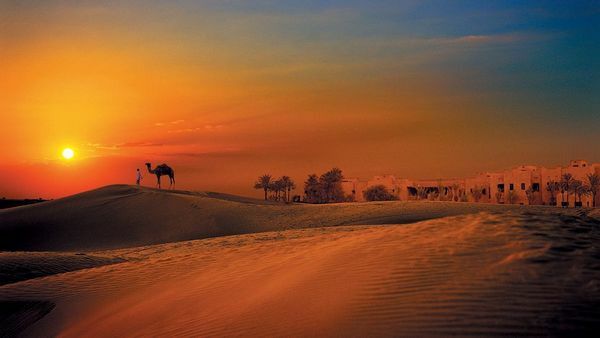 Although the locals enjoy Bab Al Shams as a luxurious and relaxing getaway, tourists will want to make the most of the desert activities on offer. Camel rides are complimentary at Bab Al Shams and there’s no better way to enjoy an Arabian sunset than on a hump or two. In addition to camel riding, there’s wild desert Jeep safaris, falconry, horse riding, archery and quaint lawn games such as croquet. Perhaps because it appeals to every Arabian cliché I can think of, the Al Hadheerah Desert Restaurant stands out at Bab Al Shams. 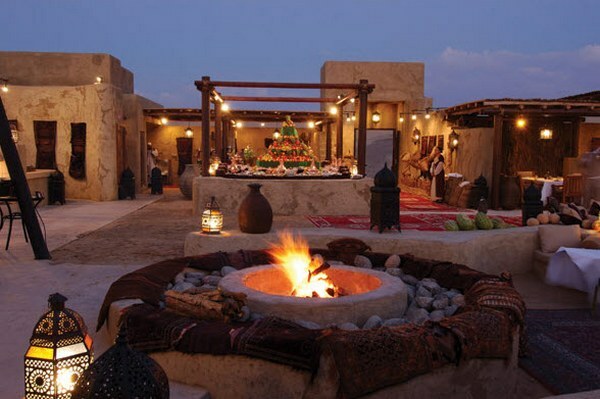 Numerous cooking stations serving traditional Arabic fare, open-air dining in sunken stone seating and roaming belly dancers, henna artists and live music makes for an entertaining meal. 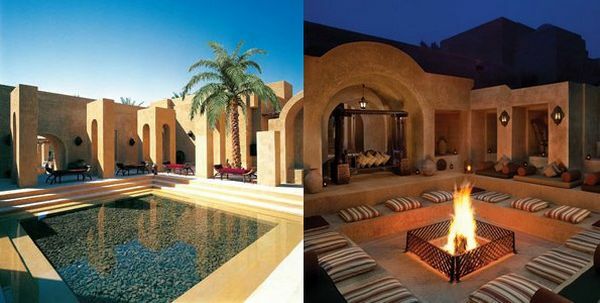 Bab Al Shams Desert Resort & Spa is located in the heart of the desert, yet is just a forty minute drive from the city of Dubai. Rates range from $180 to $850 per night, depending on your choice of room. 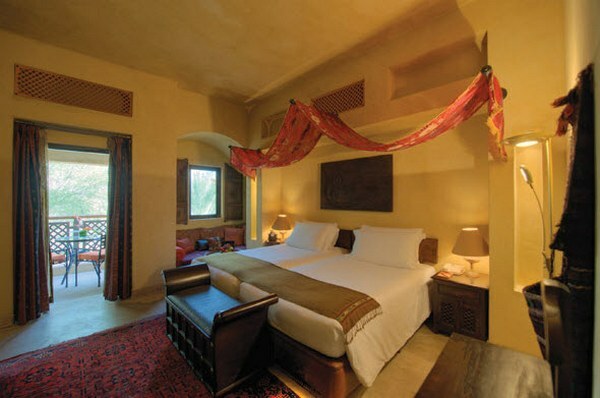 All rooms at the Bab Al Shams Desert Resort & Spa comfortably accommodate two adults and one or two children depending on the children’s ages. 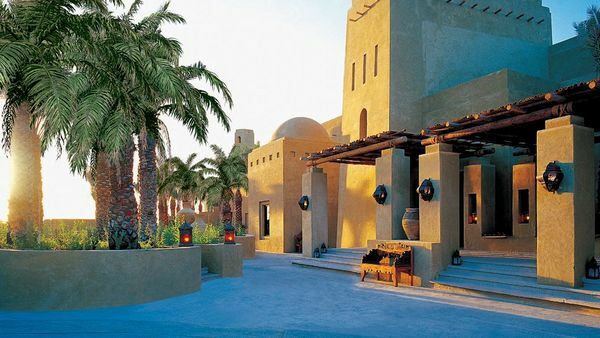 Needless to say, the rooms are large, luxurious and boast views of the desert or the palm grove and some include private courtyards or balconies.